The latest plans for Newsome Mills (2009/93669) gained planning permission on Thursday 6th January 2011. 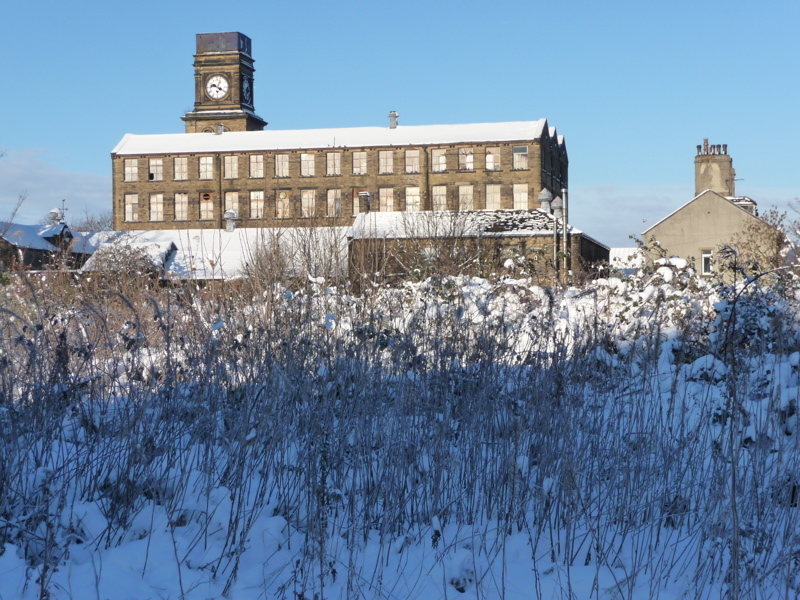 The plans are to convert the four-storey mill into 40 apartments, convert the weaving sheds into 8 duplex apartments and convert the office building into a three-bedroom house. The owners will also build 20 new houses on the land opposite White Hart Drive (behind the mill). The planning committee voted unanimously in favour of the scheme, which is very similar in character to the plans that were submitted in 2006. Two of the councillors on the planning committee spoke to express their concern that the mill buildings are deteriorating whilst we wait for building work to begin, and they urged the planning service to continue to work with the owner to move things forwards. Neither the owner or the architect were present to speak at the meeting. There 27 different conditions which the owners must comply with as part of the planning consent. These conditions include measures to protect the character of the buildings and to bring the landmark clock at Newsome Mills back into use. We’re very pleased that the planning service listened to our feedback about getting the clock working again, and that they have made this a condition of the planning permission. The development shall be begun not later than the expiration of three years beginning with the date on which permission is granted. Unless otherwise agreed in writing by the Local Planning Authority, all new buildings and boundary walls shall be constructed of regular coursed natural stone with a pitched face finish of a colour and texture to match the stone in the local area. Unless otherwise agreed in writing by the Local Planning Authority the roofing materials shall be natural or artificial blue slates. All new windows, roof lights and doors shall be constructed of a traditional design and profile. Any new or replacement areas of stonework or roof slates for all buildings to be converted shall match the existing buildings in terms of type, colour, scale and finish. A method statement for the renovation of the mill clock faces and associated internal mechanisms shall be submitted to and approved in writing by the Local Planning Authority before development commences. The clock faces and internal mechanisms shall be re-constructed in accordance with the approved details and thereafter maintained as such. We think this is a good result for Newsome Mills and we’re keen to see some progress made on site soon. As ever, we’ll do whatever we can to help look after the buildings in the meantime. « Time to move forwards at Newsome Mills?